Plumbing - McAdams Plumbing, Inc.
From sink to sewer, McAdams Plumbing is your answer for residential plumbing services. We offer high quality, affordable repair and replacement of all plumbing fixtures throughout your home. If you purchased a new plumbing fixture, like a sink or faucet, and it turns out you’re in over your head, no worries! Give us a call, we’ll be happy to install your customer supplied fixture. Best of all, you can rest easy knowing our licensed plumbers installed it right. We also warranty all of our labor. So if something goes wrong with the install, we’ll take care of it. Whether your looking for a plumber in Westminster, Boulder, Broomfield, or North Denver, you’re in good hands with McAdams Plumbing. As we always say, the Proof is in the Plumbing! If any of your drains are clogged or backed up we can help. We specialize in all drain lines including main lines, sink lines, shower lines, and floor drains. With over 40 years of plumbing experience, the craftsmen at McAdams Plumbing are proud to offer top notch service with top of the line rooter technology. Our professional plumbers have the experience to perform any drain cleaning service in your home. We provide professional same day service to unclog your drain as quickly as possible. Our trucks are stocked with Spartan equipment, the best sewer and drain cleaning equipment available. We believe in cleaning the entire line, not simply clearing the blockage. We are also proud to offer high pressure water jetting services. Let us clean the buildup out of your lines so they look and act like new again. So if you want you drain cleaning service done right the first time, call McAdams Plumbing today! We can detect leaks that you can’t see and fix the ones you can. From slow drips to Frozen/Broken pipes, we fix it all, fast. 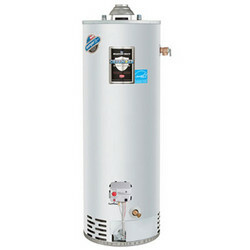 Major flooding and water damage can occur in a home for many reasons, including old, faulty, or defective plumbing, as well as malfunctioning appliances such as a water heater or dish washer. Plumbing in Colorado is different than in other states. In Denver we deal with frequent weather changes that can happen overnight, or if you’ve lived here long enough, you know it can change in the middle of the day! Because of that pipes bursts are a common problem due to quick freezes. McAdams Plumbing can inspect your home and show you where danger zones for frozen pipes are. We can also make recommendations on how to avoid freeze breaks. 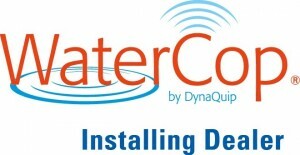 We are also a Certified WaterCop dealer and installer. WaterCop offers 24/7 automated flood prevention and peace of mind. There’s no better way to save yourself the stress and financial burden of flood damage than with a wireless WaterCop flood prevention system.